Tayari Jones is committed to writing about the South as she sees it. Her critically-acclaimed novels are all deeply rooted in Atlanta and explore the intersection of black family stories with the structures that define American life. Her latest book, “An American Marriage,” (Algonquin Books of Chapel Hill/2018) was selected for Oprah’s Book Club, named by former President Barack Obama as one of his favorite books of last year, and nominated for an NAACP Image Award. The novel tells the story of a recently-married couple torn apart by a false conviction. It is at once an exploration of love, masculinity and justice. 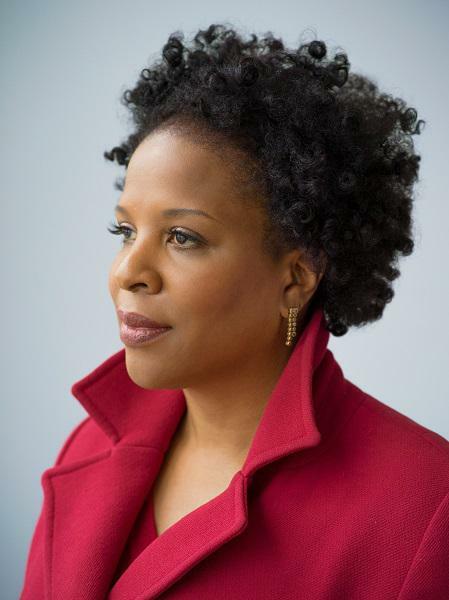 Host Frank Stasio talks with Tayari Jones, a professor of English and creative writing at Emory University, as she spends the week as the 2019 Frank B. Hanes Writer-In-Residence at the University of North Carolina at Chapel Hill. Jones gives insight into her creative process, articulates the difference between writing about an issue and writing a story, and shares how her own questions about black feminism have shaped her writing. Jones will give a public reading at the Genome Sciences Auditorium on the UNC-Chapel Hill Campus Tuesday, March 19 at 7:30 p.m.
Usually if you say there's a woman who's an artist, and she wants to follow her dream, but the circumstances of her marriage interfere with her dream, you would normally say: You know, girl, follow your dream … But in the wake of [Celestial's] husband's incarceration, for her to have any ambition for herself is seen as a betrayal of the cause. And how does this balancing act work? ... There are a lot of novels about middle-class white women who are following their dreams or being artistic, but their husbands are not in trouble. As a matter of fact, their husbands represent power. And so when they resist power, we applaud them when we read about them. But for a black woman it’s super complicated. Writing this novel broke my heart, and that’s why I got stranded 50 pages from the end for a year. It was such a nightmare. I couldn’t end it, because I wanted a way forward for all the characters, but I did not understand that there was a way that they could all be ... content or fulfilled at the same time ... It occurred to me … that what he really lost was [Roy’s] experience in prison made him forget that he had something emotional that he could offer other people … He has not only the ability to contribute to his relationships, but the obligation to contribute emotionally is what makes you a citizen of your own life. And when he realizes that, he regains his citizenship, and once he has his citizenship he is able to move forward and then everyone else can move forward as well.